To Change (your name) Or Not To Change (your name)? I was reading this article by Buzzfeed today about women explaining why they did or didn’t change their name when they got married, and it reminded me of one of the most common questions we as celebrants are asked by couples - how do I change my name, and do I have to change my name? The answer to the first question is simple - in New Zealand, you don’t have to change your name formally. In fact, you don’t ever actually change your surname (unless you choose to do so by Deed Poll, but that’s another process entirely!). hyphenate or use a combination of both names with a space in between. If you are traveling overseas, make sure that your ticket name matches your passport name. 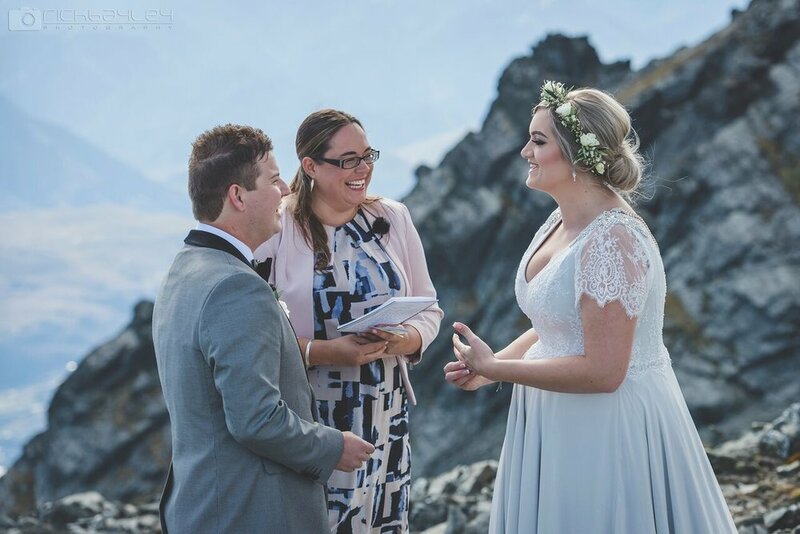 So, if you are travelling overseas immediately following your wedding (and won’t have time to get a new passport), remember to book your tickets in your pre-marriage name! Which brings us to the second question - do I have to change my name? Well, no. You don’t have to do anything. In fact, you don’t have to decide right away. Or ever, for that matter. Everyone has their own reasons for changing their names (or not). My sister has kept her pre-marriage name for her profession, and her married name for her personal life (it’s Facebook official!). My friend changed her name, because she had a hate/hate relationship with her pre-marriage name and couldn’t wait to have a name that was easy to spell/pronounce/explain. And me? I chose to change my name, as it meant that I had the same name as my kids. And so, do we have to change our names? IT’S YOUR WEDDING! YOU. CAN. DO. WHAT. YOU. WANT. TO. DO!!!!!! !